(beds may be adapted to suit individual requirements, please enquire). 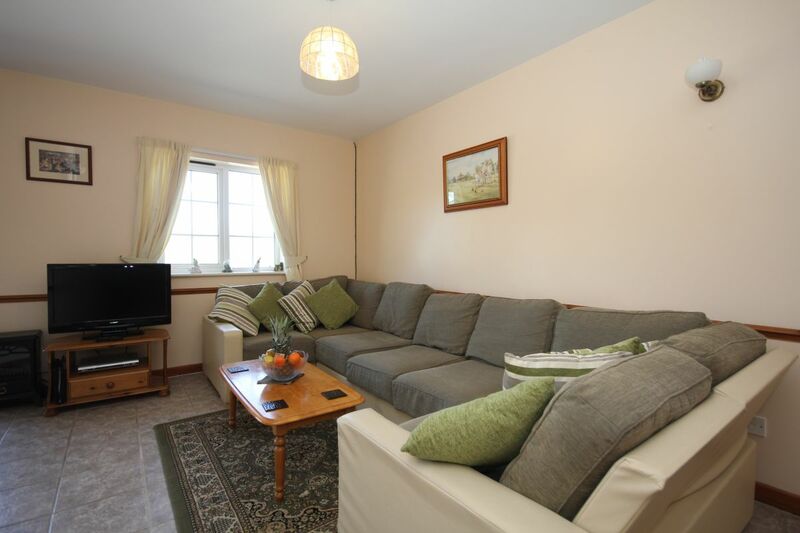 A relaxing retreat for five in an open plan style, attractively furnished throughout. The large rear patio is great for leisurely breakfast or a nightcap under the stars. 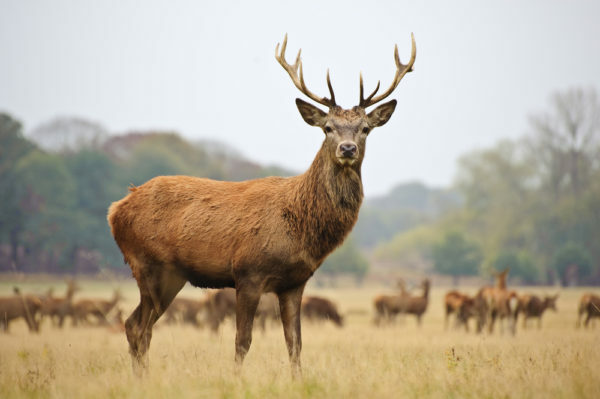 Stags Cottage is perfect for family getaways in a stunning location. Bed linen, Wi-Fi, Enclosed Patio. Short breaks available. Arr/Dep for weekly bookings are Saturday. Smoking is not permitted within the property. 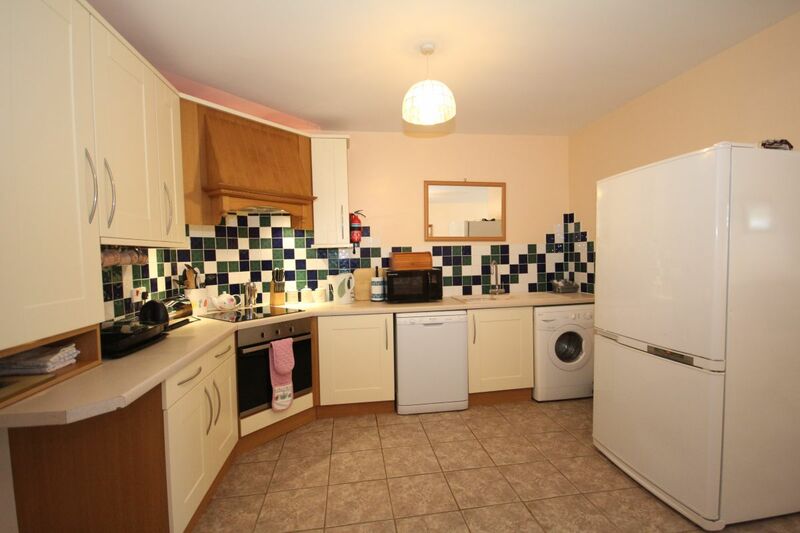 Kitchen area with electric hob and oven, microwave, large fridge/freezer, washer/dryer and dishwasher. 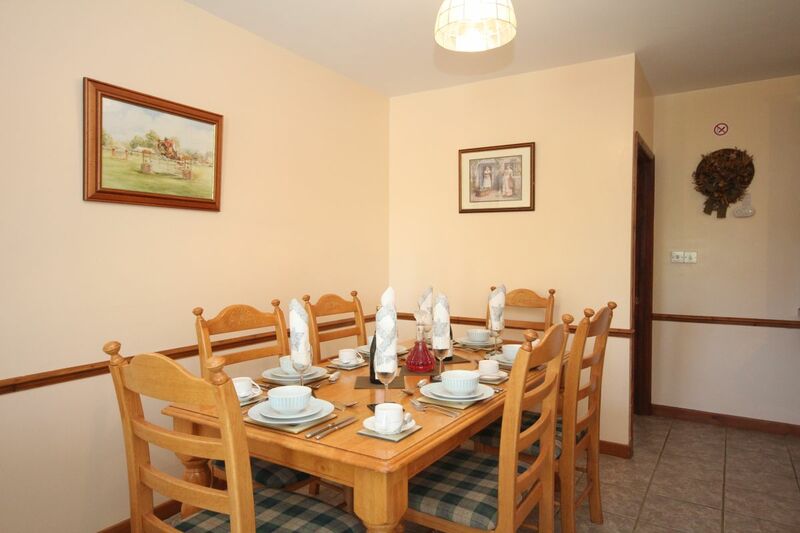 The cottages are open all year and Short Breaks are available from October to mid July. The owners live on the property and provide a warm welcome to visitors on their arrival. Two dogs are accepted by prior arrangement on condition that they are kept on the lead and exercised in the designated area. Bedroom 1 – Super King or zip n link to two singles on request. 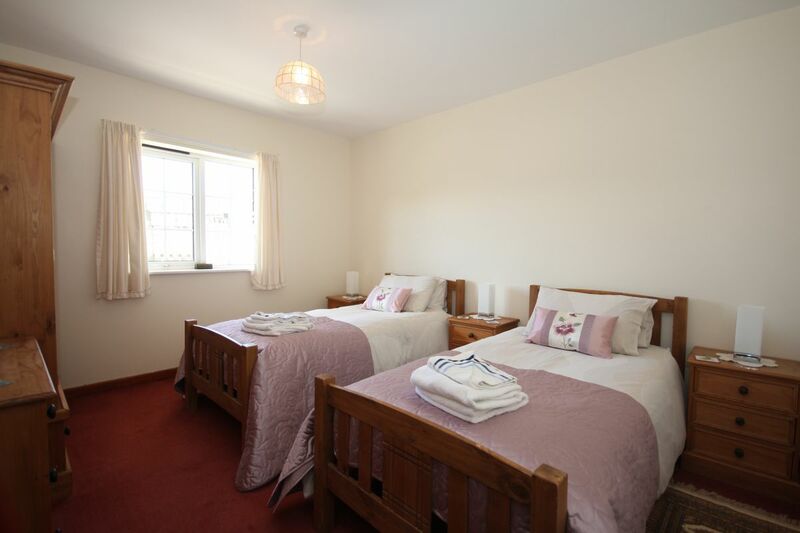 Bedroom 2 – Large single Bed. 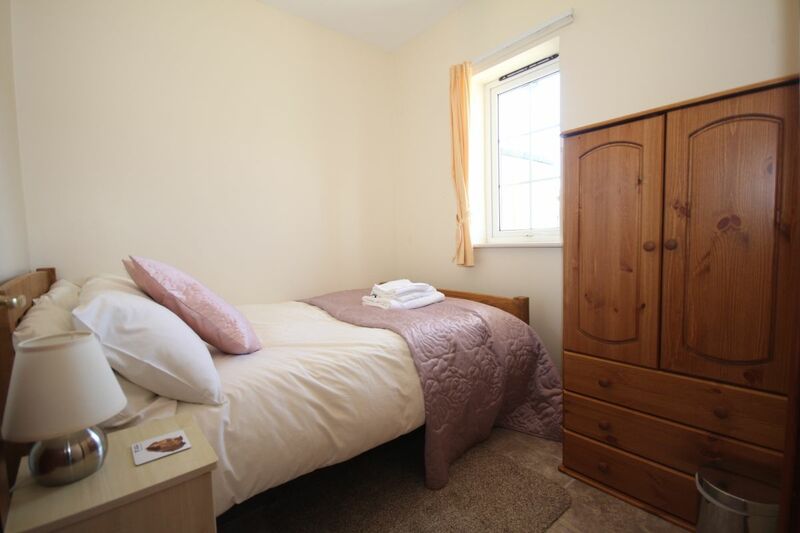 Bedroom 3 – Single 3’0″ Bed. Bathroom with power shower fitted over the bath, WC, basin. There is also a separate WC. One main bathroom with bath and shower over.